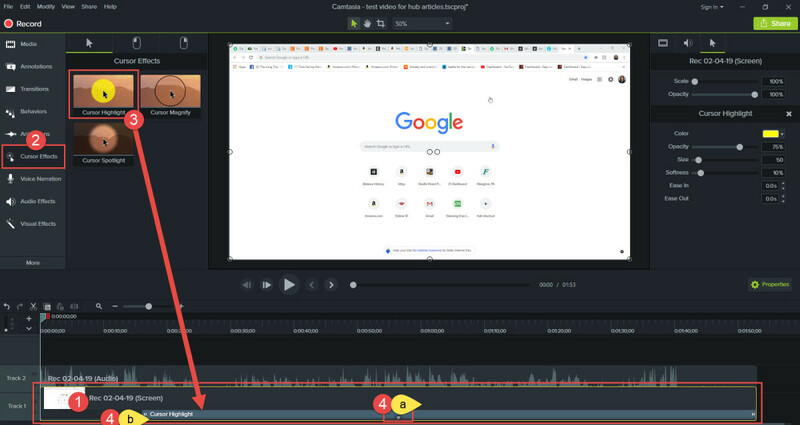 If you’re new to Camtasia and haven’t yet created a basic file, you can learn how in the article, How to Create Videos With Camtasia. 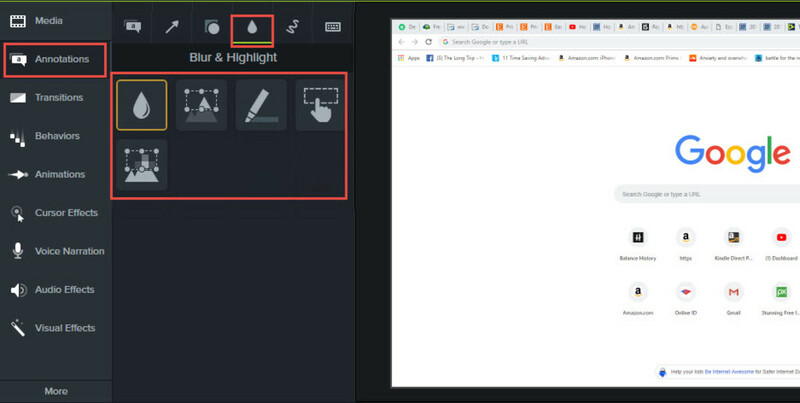 If you’ve already created a basic Camtasia file, open your file - then you are ready to roll! 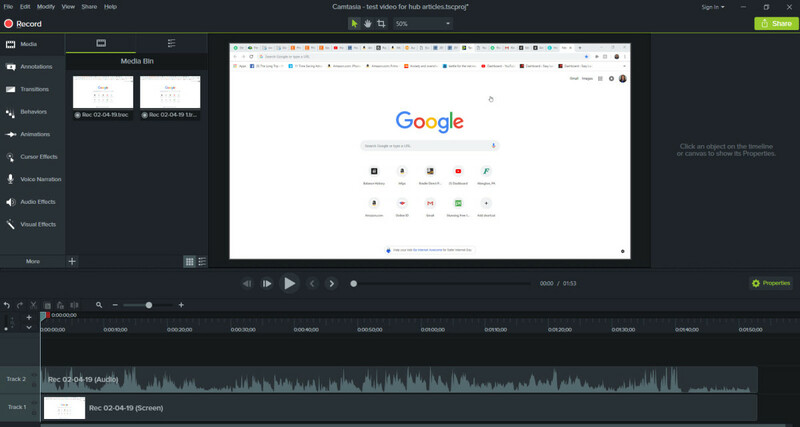 Let’s begin on the main Camtasia screen. 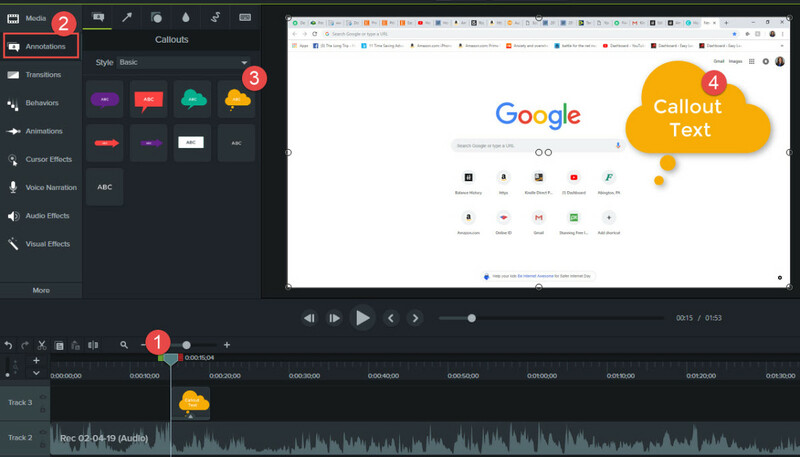 Note: If you are using a version other than Camtasia Studio 9.0, the screens may vary slightly, but the steps will be primarily the same. A cursor effect can be applied to one or more recording clips. First, click on the recording clip in the timeline. Next, click Cursor Effects on the left. Click the cursor effect to the recording in the timeline to apply it. In this example, the yellow cursor highlight is applied. 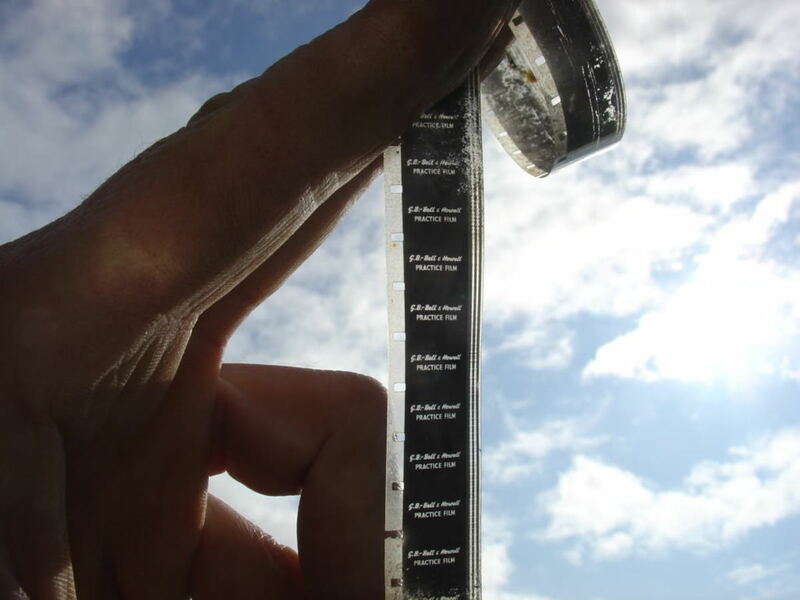 Once applied, it will be applied to the entire clip. To delay the effect, click the small arrow at bottom center, then drag the effect inward as needed. Drag the playhead to the position on the timeline where you would like to add the callout. 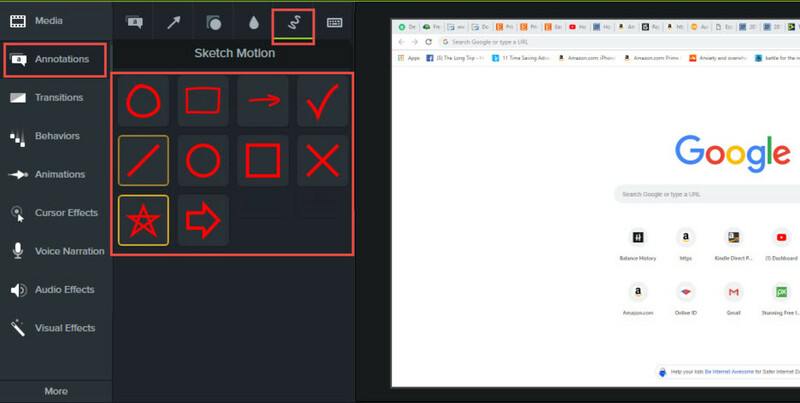 Click Annotations on the left. 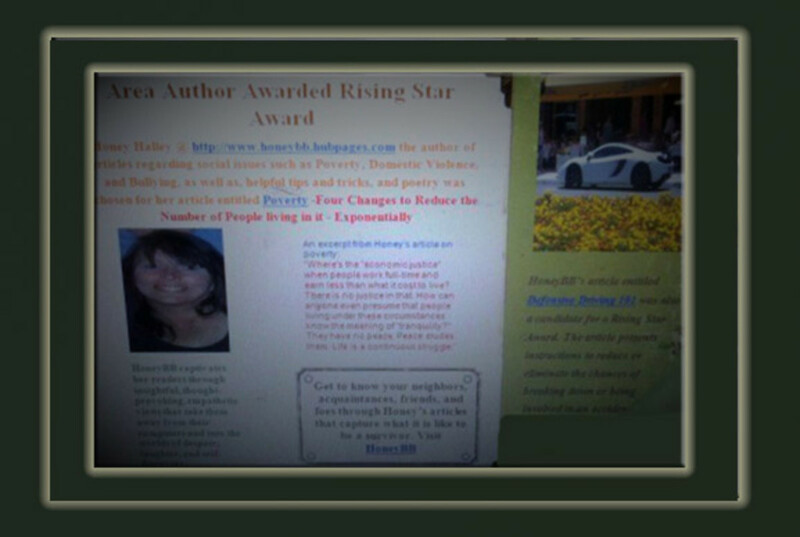 Double-click on the annotation to add it to the timeline. 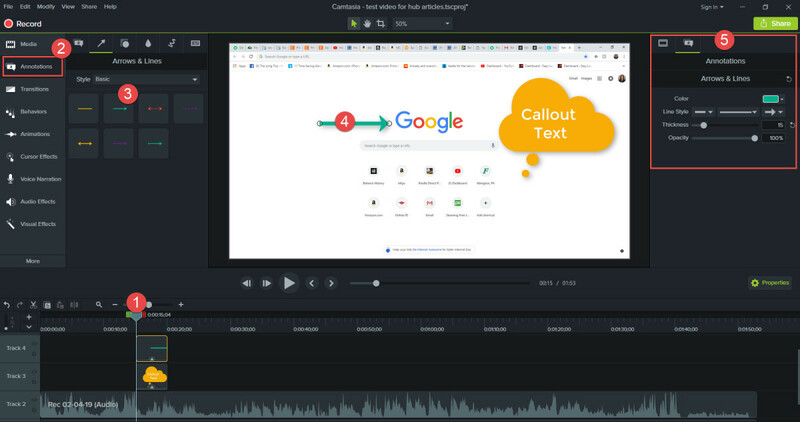 Click in the callout on your video and add text as needed. Drag the playhead to the position on the timeline where you would like to add the arrow. Double-click on the arrow style to add it to the timeline. Drag the arrow to reposition it; drag the left or right edges of the arrow to resize the arrow. 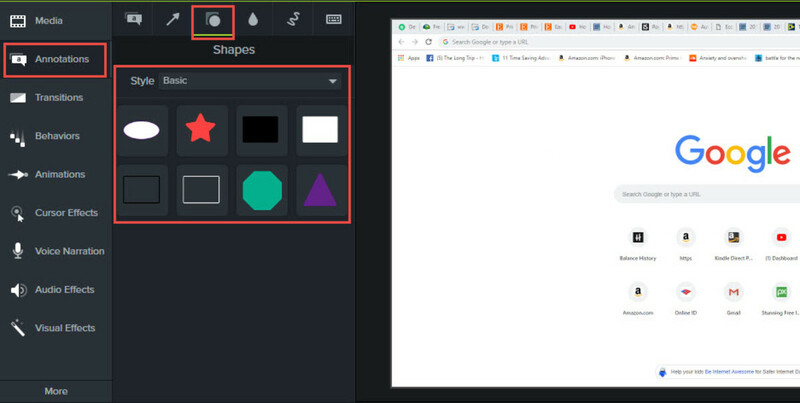 To customize your arrow (or any annotation), click on the options on the right (to control the color, thickness, etc.). 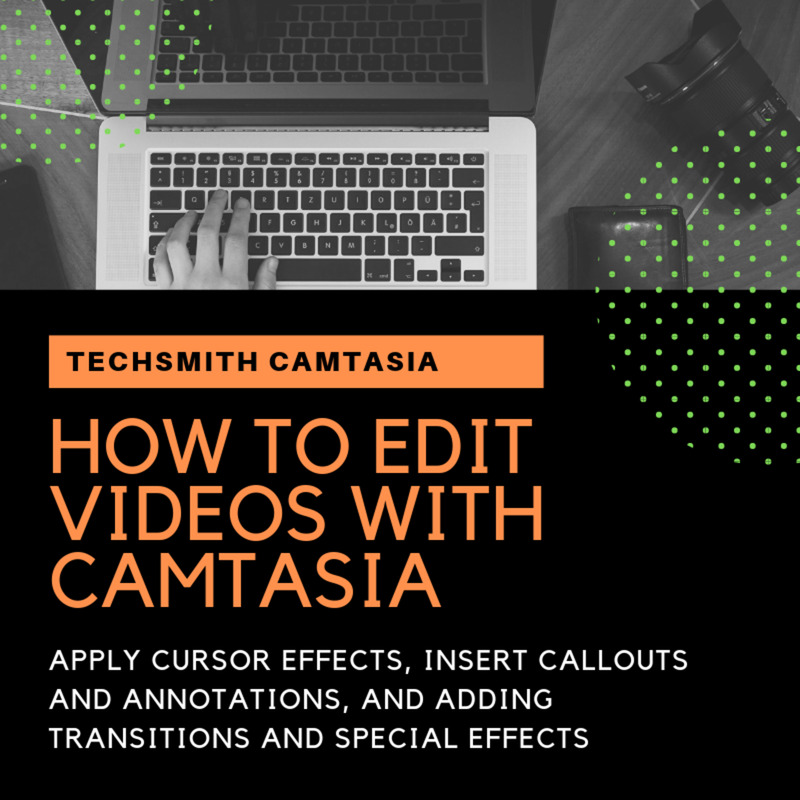 As you can see, there are lots of other annotations you can add in Camtasia. Did you find this article helpful? If so, please let me know in the comments section below.